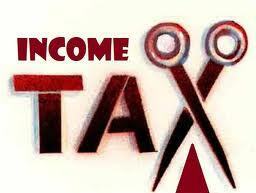 Income Tax is a tax imposed by the Government of India on any body who earns income in India. This tax is levied on the strength of an Act called Income tax Act which was passed by the Parliament of India. Click here to calculate tax online. The job of monitoring the Income-tax collection by the government is entrusted to a Department called Income-Tax. This department functions under the Department of Revenue, Ministry of Finance, Government of India. It is the twelve-month period 1st April to 31st March immediately following the previous year. In the Assessment year a person files his return for the income earned in the previous year. For example for FY:2006-07 the AY is 2007-08. Any Individual or group of Individual or artificial bodies who/which have earned income during the previous years are required to pay Income tax on it. The IT Act recognizes the earners of income under seven categories. Each category is called a Status. These are Individuals, Hindu Undivided Family [HUF], Association of Persons [AOP], Body of individuals [BOI], Firms, Companies, Local authority, Artificial juridical person. If you are a resident all incomes earned globally are taxable. Therefore the same needs to be included in the return. However if any tax is paid on that income in the foreign country, you will get credit for the same. When Companies pay taxes under the Income tax Act it is called Corporate tax. The Income tax Act applies to all persons who earn income in India. Whether they are resident or non-resident. If an individual stays in India for 182 days or more in a year, he is treated as resident in that year regardless of his citizenship. If the stay is less than 182 days he is a non-resident. Status of a Company: Resident or Not? 0 Response to "Know your Income Tax"